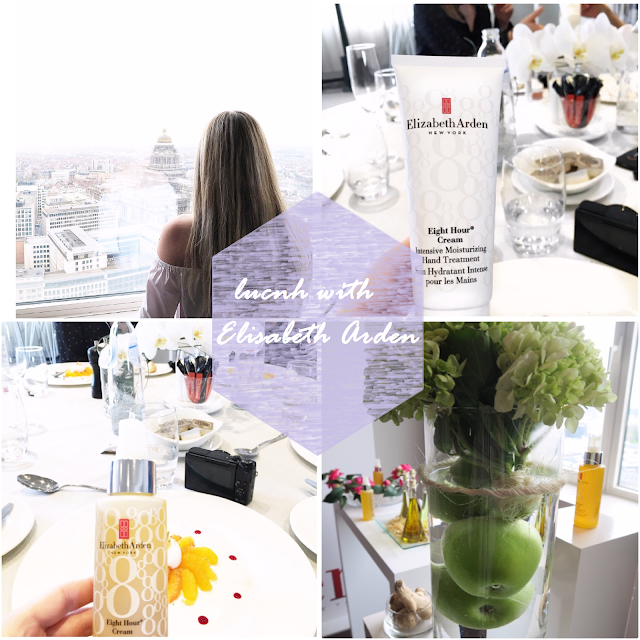 Last week I had a lovely lunch with the Elizabeth Arden team at The Hotel, which has some of the best views over the city. Elizabeth Arden is going to be sold at Planet Parfum stores in Belgium and there are a few products that got me excited for their launch! Those of you who follow me on snapchat ( user ID : fashionwise1) have already seen a bit more about the event last week ! Make sure you follow me on snapchat to keep up with my daily activities. The Hotel has the best views over the city ! Love it! The Hotel always delivers when it comes to food. It’s a pretty to look at and tastes ah-mazing! First up is this oil from the 8 hour cream all-over miracle oil. It’s citrusy scented and absorbs quickly into the skin, therefore it’s perfect for travelling and on-the go girls. The packaging is very girly and luxurious at the same time. The perfect accessory for your bathroom. It’s also the perfect size bottle to travel with! So keep an eye out for when they will hit the stores in Belgium! Thank you Elizabeth Arden for a lovely afternoon!